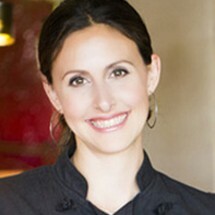 Jenny Ross, the owner and executive chef of the living-foods restaurant 118 Degrees in Costa Mesa, California, has been a pioneering spirit of the raw-foods movement since 2000, beginning with her first Los Angeles café. As a chef, her unique creations have captivated customers nationwide, and her product line is available in health-food stores throughout the country. Jenny works with clients of all backgrounds, motivating them toward more vibrant health while teaching them about the healing power of living foods. Her award-winning cuisine has drawn a celebrity clientele to her restaurant and has been a positive catalyst for changing many lives.